Cascade has done it again! This buttery soft worsted weight merino is 220 yards of yarn heaven! Machine washable and available in dozens of bold shades, this versatile yarn is perfect for projects big and small. Cascade Elysian Yarn and Plymouth Yarn Worsted Merino Superwash Yarn are both similar yarns: merino wool, machine wash, worsted (19-20 sts/4 in), 5 sts / inch, 100 gram, and on size 7 US needles. What about yarn that have the same look and feel? Find more yarn with a smooth / uniform texture, is super soft, and is machine dyed. You may enjoy taking a look at the Cascade Knitterati Gradient Lapghan Knit-Along, Cascade 220 Superwash Merino Interlocked Gradient Hat, Urth Yarns Uneek Worsted and Cascade 220 Superwash Merino Newfie Mittens, and Cascade 220 Superwash Merino Washboard Pullover kits all using Cascade 220 Superwash Merino Yarn. 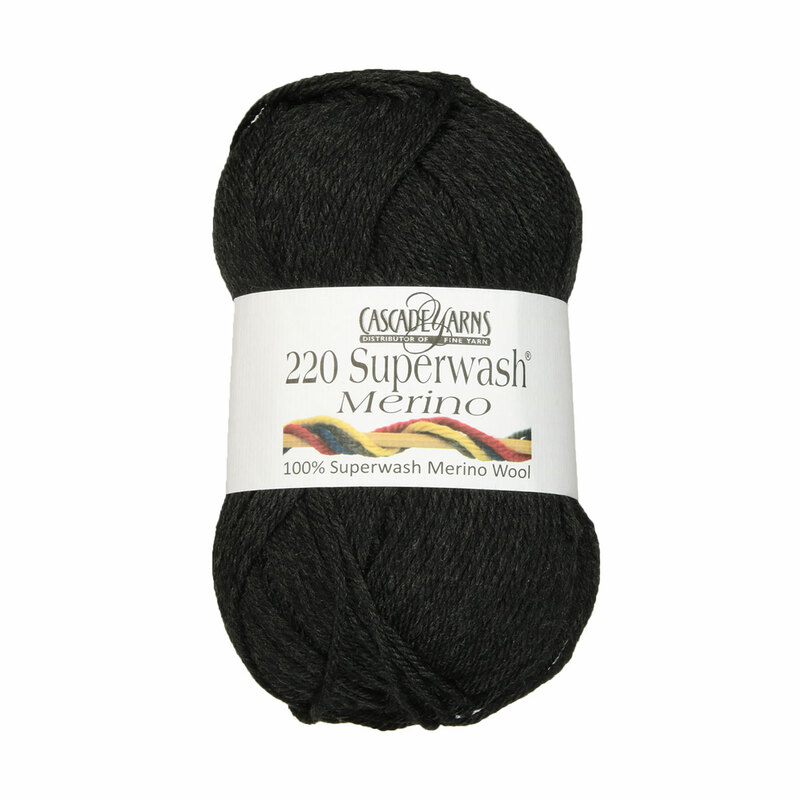 Hopefully our suggested project ideas for Cascade 220 Superwash Merino Yarn can help you come up with your next exciting new project idea!